It may come as a surprise to you that creativity doesn’t come easily to me. And yet I’m supposed to make creative output each and every week in the form of a sermon. Sundays never stop coming. They occur once a week. And every time they return I have to be prepared with words that inspire and engage. So I have come up with a little system that helps engage my creativity. I ruminate on the text. Monday is my “day off,” so on Tuesdays I look at the text. I read it slowly. I look at it in the original language. I peruse a few commentaries. I may even chase down some Bible dictionaries or word studies. I pay attention to ways the text is speaking into my life, and the life of my congregation that particular week. For instance, this past week the text was the story of the ten lepers Jesus healed, with only one returning to give thanks. I happened to run across a video of teachers thanking their students for inspiring them to get out of bed every day and go to work. It made a very real emotional connection. And it applied perfectly to the text. I write down on a piece of paper with a pen the theme of the text. It always starts with the words: “Every member of Ascension will…” Sometimes its an enabling proposition. Other times it’s a persuasive theme. It’s focused on a faith goal or a life goal. Something about pen to paper makes my creative juices flow. I write down at least two (usually more) ways the goal will be achieved. 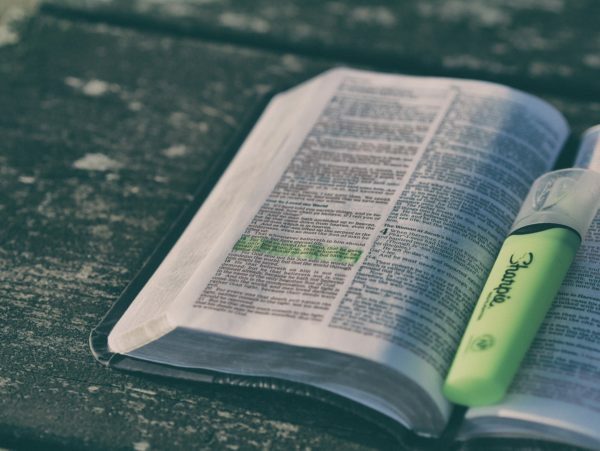 There is always a key word, like “blessings,” or “promises,” or “values.” The key word is the way the sermon will move toward the central theme. The sermon is always centered on the Gospel of Jesus Christ for the forgiveness of sins. If that’s not the point of the sermon, there’s no point at all in preaching it. I keep it in mind throughout the process. I type out a manuscript. Ideally, the manuscript includes the following: It has an introduction that draws people in. It centers on the theme. There are key words that move the action along. Illustrations make connections with the hearers. The Gospel is at the center of it all. It concludes with a way for people to remember what was said. I practice with the manuscript, but allow myself the freedom to deviate. I don’t want to be tied down if and when I am moved in the moment to expound on something or go in a slightly different direction. But I’m always thankful to have the structure of the manuscript on which to fall back. What structure is there to your creativity?